So … you’ve got an idea for an online business, or maybe you’re ready to take your existing business online. Do you really need to spend thousands of dollars on custom web development or custom web design to start or take your business online? Let me share with you some things that will help you answer this question and hopefully save you thousands of dollars in the process. What Is An Expertly Configured WordPress Site? 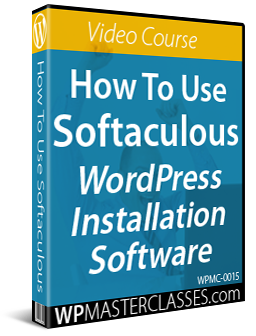 Get 101+ Powerful WordPress Tips, Tricks & Hacks For Non-Techies ... 100% FREE! I recently worked with a small business who had an e-commerce store and were in the process of getting a second website built for a different business they were planning to launch. d) Is not in control of its digital processes. Digital business planning is not the same as website planning. A digital business plan requires having an in-depth understanding of your business, figuring out what systems and processes you will need to put in place to achieve your business objectives online and takes into account your resources and capabilities to execute your plan. Your digital business plan should drive your website planning processes and help you determine what kind of digital presence you will need to build. This is different than letting a website developer influence your decisions. As explained in The Small Business Digital Manager, a digital business plan puts you in complete control of your digital processes. If your plan involves outsourcing , you can instruct technical service providers (e.g. website developers) to perform the work you need done to your specifications, instead of allowing them to make important decisions that will affect your business. A domain name registered by the business. Reliable web hosting with cPanel installed. A website powered by WordPress. Let’s say that your digital business plan requires your digital presence to be modular, flexible, and scalable to accommodate your current budget and existing resources, as well as new features, new functionalities, new service integrations, and future changes in the market and technology. The basic setup shown above can provide you with all this. It lets you start small and expand quickly and inexpensively as your business grows and your needs change. If we now go back to the client, this small business did what most small businesses do when they got their first website built. They skipped the digital business planning process entirely and went instead to a website developer with some ‘rough ideas’ of what they wanted. Inevitably, they ended up with a website that was ‘too technical’ to manage and had to put their website developer in charge of it. It was at this point that I was brought into the picture. Looking into their web presence, I saw what I typically see with many online setups … a web presence built by ‘techies’ that only ‘techies’ can manage. The website developer had built an e-commerce website with custom-coded features that were not documented for client use. Also, the client had no access to their web hosting account or their server, as their site was hosted inside a partition of the website developer’s server. Although their e-commerce site was built with WordPress, modifications were made to the code and any attempt to change the theme resulted in site errors. Requests for help or support took days, sometimes even weeks, to get a reply. The client could log into their site and add a new product to their store or make changes to product descriptions (i.e. work with content), but not do much else on their site, mostly because there was no way to make backups before making changes like installing or updating plugins, changing the page layout, etc. The client, then, had no control of their own digital presence. They couldn’t access their web server and any structural changes they wanted done on their site had to go through their website developer first. They were effectively being held hostage by their website developer. This is a very risky situation for a business to be in. What happens if their website developer is not around or goes out of business? This website (and e-commerce business) was a ‘black box’ being run by someone who could disappear at any time and leave them stranded with no access to their web files or data. Even worse, they were in the process of getting an identical second website built to promote a new business, which was only going to increase their risk and their problems. After assessing the situation, the first step was to eliminate the client’s risk by “de-hostaging” them from their website developer and putting them back in control of their digital presence. There is no point building a website you can’t manage, so I advised the client to cut their losses and cancel the work being done on website #2, as it was only going to recreate the same issues they were experiencing with website #1. There is also no point hosting your website in an environment you can’t manage or get immediate support when you need it. Given the fact that the client’s business relies on sales from their e-commerce site to remain profitable, I recommended using a dedicated managed server with WHM (Web Host Management) and cPanel installed and set up a new webhosting account with a reliable hosting provider. After setting up their account, I then contacted the host’s support team to organize a migration of the client’s e-commerce website to the new server. 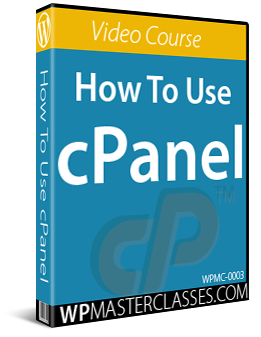 A server with cPanel and WHM allows you to control virtually every aspect of your website and webhosting account. Once the client’s site had been transferred over to a server where they could manage their own hosting, it was time to make the next important decision. Should the client a) stick with their existing website (and keep putting ‘techies’ in charge of managing it), or b) recreate their site from scratch in a way that they could manage it by themselves if required, even though they were ‘non-techies’? The client decided to go with option “b” (i.e. recreate their e-commerce site so that ‘non-techies’ can manage it). You can add almost any kind of functionality you want to generate the results you need at minimal cost and without spending thousands of dollars on custom web development using mostly free or inexpensive premium WordPress plugins. Unless you specifically need to custom code an application for your website, the above principles will work for almost any type of business online built using the WordPress platform. At the very least, you can start or take your business online without investing too much money upfront and decide later if you really need custom web design or custom web development work. Later in this tutorial, I’ll show you a useful decision-making process that will save you thousands of dollars on the cost of web design and web development. First, I set up two new WordPress installations: one on a separate domain name (for the client’s second e-commerce website) and one on a test site so that I could work on the design and configuration of their new websites without messing with their existing live e-commerce site (which had been transferred and was running fine on the new hosting environment). 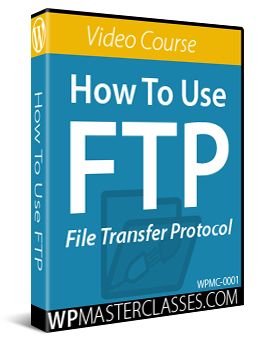 To do this, I used the same processes described in our detailed step-by-step WordPress Installation and WordPress Configuration tutorials. Once WordPress had been installed on both sites (which took all of about two minutes to do), I then put them in maintenance mode (for more details, see our tutorial in how to put WordPress in maintenance mode) and began to configure the basic settings on the test website. Avada is a fully responsive and highly customizable WordPress theme that lets you build just about any kind of website you need for any type of business without having to touch code. A site license for this theme costs around $60. After installing the theme on the new WordPress test site, I then installed a number of free and premium plugins to recreate the existing site’s features and e-commerce functionality, and make other improvements. This included installing the WooCommerce plugin, several WooCommerce add-ons, a contact form, events calendar, and an automated back up plugin. Once the site was fully set up and ready, I then exported all the WooCommerce data from the client’s existing site and imported it into the new site. After a few more tweaks, the new site was completely ready to replace both the client’s existing site (website #1) and their new site (website #2). Normally,I would simply clone the new site over the existing site using a plugin like Backup Creator. However, because the main site’s file size was huge (due to too many large product image files being uploaded without resizing), I asked the hosting company to copy the new site’s settings to the other two sites. This was all done with no issues. 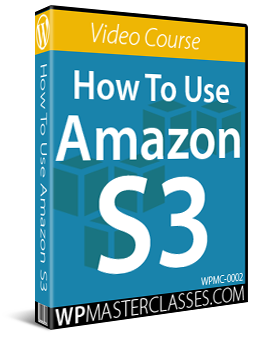 The client now had two e-commerce sites hosted on a server that they could fully manage by themselves if they chose to. So … how did the two websites compare in terms of performance? What kind of results did the website built and configured by a ‘non-techie’ with no custom coding deliver for the client compared to the website built and customized by a professional website developer? To be fair, there are many factors that can influence the results shown above. The point, however, is that with WordPress, you don’t need to hire technical experts and invest thousands of dollars in custom web design and web development work to get results with your business online. If you choose to, you can do this yourself, using inexpensive “off the shelf” WordPress themes and plugins. 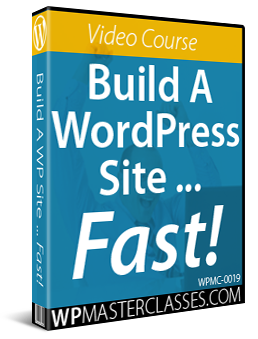 I know this to be true, because I have spent years building WordPress sites for all kinds of business purposes using the same processes described above and in our step-by-step WordPress tutorials, without coding skills and without hiring web designers or website developers. As stated earlier, WordPress can help ‘non-techies’ build, manage, and grow a business online that gets results, have complete control of their digital presence at minimal cost and with no technical skills required, and save thousands of dollars on web development costs. With many technology platforms, if you lack technical expertise, you have no choice but to rely on technical experts to hep you get things done. WordPress is different. As we explain in The WordPress Paradox and Keep Calm And Use WordPress, WordPress is becoming increasingly easier for non-techies to use, with customizable themes, fully configurable plugins, and integrated features and functions like wizards, visual interfaces, plug-and-play, drag-and-drop, copy and paste, shortcodes, widgets, ‘one-click’ update and installations, and more. Even if you decide to outsource your web development or web management to professionals and/or experts to save time, you should still invest some time into creating a digital plan for your business. This will give you a thorough understanding of your needs, resources, and capabilities, a clear vision that you can easily communicate to others, and a sound digital strategy that will help you get consistently better results online. This will also ensure that anyone you delegate or outsource work to can deliver the results you need. Otherwise, you could find yourself in the same “hostage” situation as the business I’ve just described. Ultimately, if you are a non-technical user, you should avoid getting stuck with an online presence where you have little to no control of your digital processes and need constant help to get even the simplest things done. WordPress can save you thousands of dollars on the cost of web development and web design without touching code, without learning how to become a web developer, and without hiring technical experts to get things done for you. Before starting or taking your business online, invest some time to plan your digital business before planning your website and learning all you can about the benefits of using WordPress. We also recommend starting as simply and as cost-effectively as possible. You don’t need to spend money on web design or web development when you start. As long as you build on the WordPress platform, these options can be taken up later if necessary. You will want people with technical expertise to manage your web hosting server and keep your website running 24×7 online. You get this by hosting your site with a reliable webhosting company. 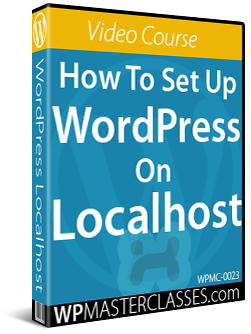 If you need help with this step, see our tutorial on how to set up web hosting for your WordPress site. Getting technical experts to install, set up, manage, or run your WordPress site is optional. Do this if you want to save time or if you don’t want to learn how to install, configure, or manage your own website. Keep in mind that you can also get someone like a member of your staff, family, or friend to go through the tutorials here on WPCompendium.org to set up your website. Follow our tutorials to build and configure your site and choose one of thousands of professional WordPress themes and you will have a great-looking website. WPCompendium.org uses the default WordPress theme that was installed ‘out of the box’ when this site was originally set up to help make the point that you don’t need to spend money on web design to build your site and grow your business. 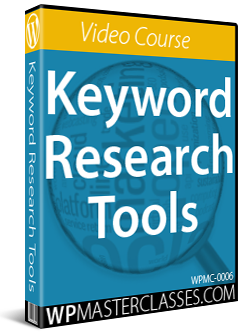 This site attracts thousands of visitors from all over the world. Hopefully, they’re not just coming here for our web design! Your site is experiencing serious technical issues, difficulties, or problems and requires someone with technical skills to resolve. In other words, you don’t need to get technical experts involved to start your journey online. You may need them once your site is up and running and getting regular traffic and you have actual data to guide your decisions. Create an effective digital strategy for your business. Begin by having a clear plan, vision, and strategy of what needs to be done and who will manage what and how (i.e. in-house, or outsourced). 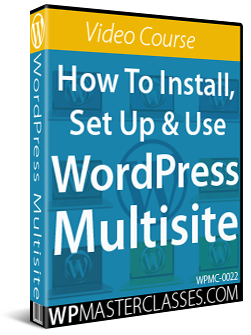 Set up and expertly configure your WordPress site. You can automate processes when configuring your site so that all you have to do afterwards is add new content regularly to your site to generate regular traffic. Take control of your digital presence. WordPress puts you in control of your digital presence. Collect, analyze, and review data to gather intelligence about your market and your visitors/users and implement and test new sales and marketing methods and strategies. Take action. Take small but consistent action steps (e.g. publishing new content on a regular basis) to grow your business online and get ahead of competitors who are either “too busy” or who lack the processes to grow their business online. Expand only when needed. WordPress is a flexible and scalable platform and lets you expand your site’s functionality when and as required. Knowing when to invest in custom web development vs. learning how to add new functionality using free or premium plugins will save you considerable money on web development costs. Change your web design only when needed. WordPress themes let you change the entire look and feel of your site with one click. Knowing when to invest in custom web design vs. learning how to change your website theme can save you considerable money on the cost of web design. The key to ensuring the successful implementation of the digital business blueprint shown above is to have an expertly configured WordPress site. Schedule automated tasks such as backups, content publishing, search optimized content distribution, auto-updating plugins and themes, etc. Integrate your WordPress site with a number of free and/or paid plugins, tools and third-party services that help improve your SEO, automate your content sharing and syndication, and give you better web and social analytics reporting. We provide accompanying video tutorials to many of our written tutorials inside our membership site at WPTrainMe.com. Subscribe Now To Receive 101+ WordPress Tips! 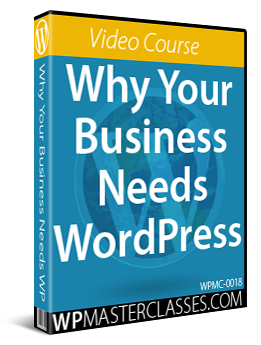 If you are willing to invest a little time into learning what to do and how to use WordPress, you can build a successful business presence online without depending on professionals and technical experts to get things done. After expertly configuring your WordPress site or blog, you can expect traffic to be generated automatically by publishing new content to your site on a regular basis. All of this and more is covered in our tutorials. Start simply and inexpensively with an expertly configured WordPress site, a free or premium theme and some essential free and premium plugins. After your site has been set up and expertly configured, focus more on the functional aspects of your site, such as publishing great content, testing new strategies to generate traffic, improving your lead or sales conversion, monitoring and analyzing user behavior, etc. instead of the aesthetic aspects (i.e. web design). Remember, you can change your web design anytime with the click of a button using any of the thousands of professionally designed WordPress themes that are available. Once you have a clear understanding of what is working and what isn’t and have gathered actual data that you can review and analyze, you can then decide which areas need improving. If everything is running fine and you just need additional functionality or a better theme with a different layout, you can extend this yourself with free or premium WordPress plugins and themes. If you cannot extend your site’s functionality or improve your web design with any of the thousands of existing plugins or themes that are available either for FREE or inexpensively, consider contacting a professional WordPress web developer or web designer to discuss investing in custom web development or custom web design. If at any time and for whatever reason you decide to migrate your site to a completely different web platform, all your WordPress data is stored in a database and can be easily exported and downloaded as an SQL file. Have complete control of your digital presence. Know what you can achieve with WordPress and what your options are. Get simple things done quickly without wasting time or experiencing delays waiting around for other people to do things for you. Avoid spending money on unnecessary web services or solutions. I hope that you have found the above information useful. If you need help getting started with WordPress, see our Quick Start Guide or visit our index of WordPress tutorials. Can WordPress Fix Poor Web Design?